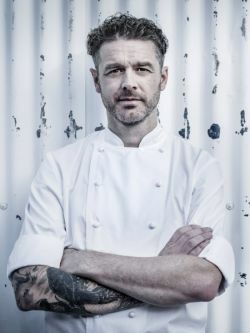 Jock Zonfrillo is Chef/Owner of Restaurant Orana and Bistro Blackwood, as well as Founder/ Director of his not-for-profit charity The Orana Foundation. Born in Scotland to an Italian and Scottish family, Jock has been heavily influenced by his grandfathers who both had a love of nature and understanding of the land. Jock has travelled into Indigenous communities for over 15 years to understand the unique relationship that the first Australians have with the land, and their rich heritage of traditional food culture. He respectfully passes on that knowledge back in his restaurants teaching his staff, effortlessly blending native and conventional ingredients into a uniquely Australian experience. "Indigenous communities have an incredibly sophisticated food culture and understanding of produce, and I am grateful that they have passed that onto me so I can create amazing food using native ingredients," Jock said. "More and more, Australians are recognising the unique relationship that Aboriginal people have with their land, and are seeking out native ingredients and their unique meaning, properties and flavours." "South Australia is home to such a clean environment and this sets us apart and distinguishes us from the rest of the world as a provider of high quality produce."